These cute little guys grow up to 65 cm long and males are lightly larger than females. Despite their name, they don’t only eat crabs and they aren’t the only raccoons that eat crabs. Crab-eating raccoons are actually omnivores, mainly eating fruit, along with crabs, fish, insects, frogs, nuts and even small turtles. They come out at night to hunt, using their excellent night vision and clever hands to catch their food. 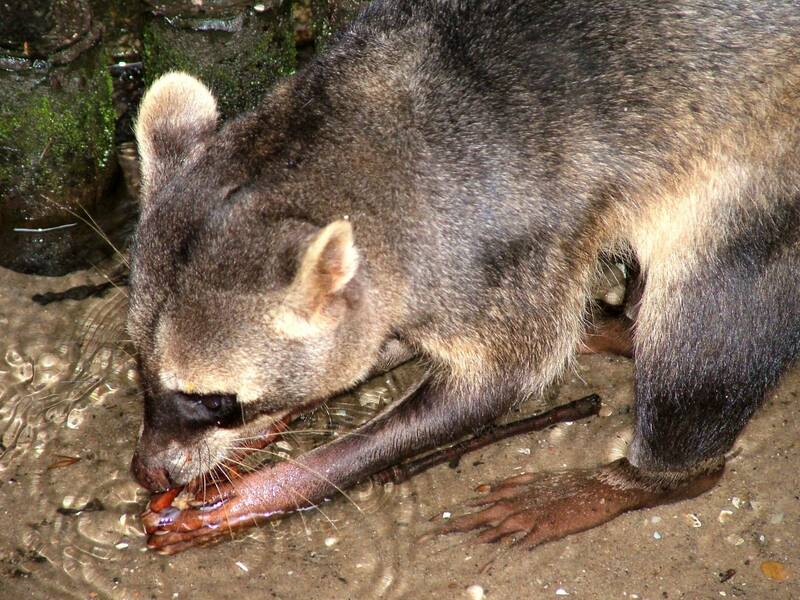 Crab-eating raccoons are quite common and are found in the jungles and marshes of central and South America. Are there any other interesting facts that you would like to share about crab-eating raccoons?